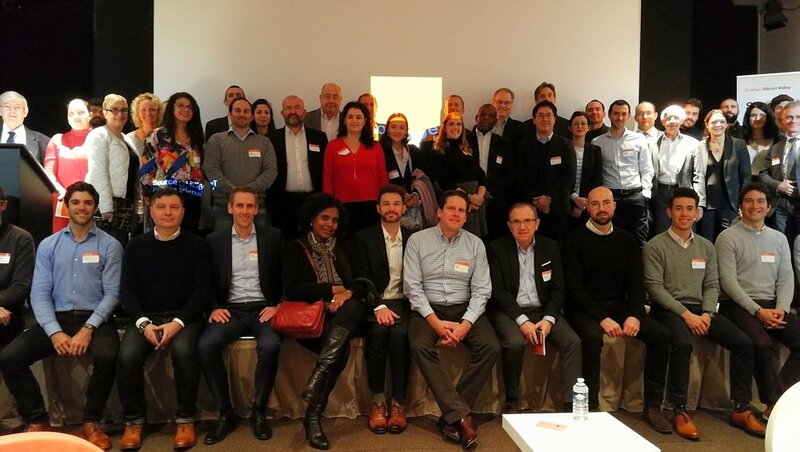 Hosted by Orange Silicon Valley, the San Francisco presence and strategic arm of Orange, along with OBS/Sofrecom, this immersive one-day summit showcased the innovate ways Silicon Valley companies are embracing digital transformation and rethinking existing business models. As Silicon Valley technology trends continue to move from concepts to reality, this Summit offers a unique opportunity to meet with and learn from a number of cutting-edge SF Bay Area experts. In this session, David discussed the emergence of digitizing physical stores through the advances of data and analytics. More specifically, we focused on how US retailers are leveraging IoT to improve the consumer experience, through aspects such as personalization, store optimization and staff productivity. The session also covered the types of technologies retailers that are investing in as well as how retailers are responding to changing customer needs. In this session, Will discussed the changes we are experiencing and the opportunities we face as city populations grow, climates change and socio-politico-technical innovations transform the cities and communities we live in. Data, connectivity and collaboration are coming together to transform city services and access to opportunity as technology increasingly intermediates between digital and physical systems. In this session, Gabriel shared insights into how the advances of artificial intelligence (AI) technologies are changing the entire IT landscape. More specifically, defining what AI really means in the context of IT, the importance of AI in IT operations (AIOps), and how AI can optimize aspects like energy consumption, automation, cyber security and costs. We shared best practices for preparing your team for the evolution of AI – reshaping how we prepare for, activate, and deploy IT solutions and infrastructure. In this session, Wilson discussed the emergence and evolution of people analytics, which encompasses all aspects of acquiring and managing employees. More specifically, we discussed the various ways machine learning and artificial intelligence technologies are changing the role of HR. In this session, Justin discussed the unique ways industry incumbents are digitalizing supply chains, including the adoption of startup technologies. 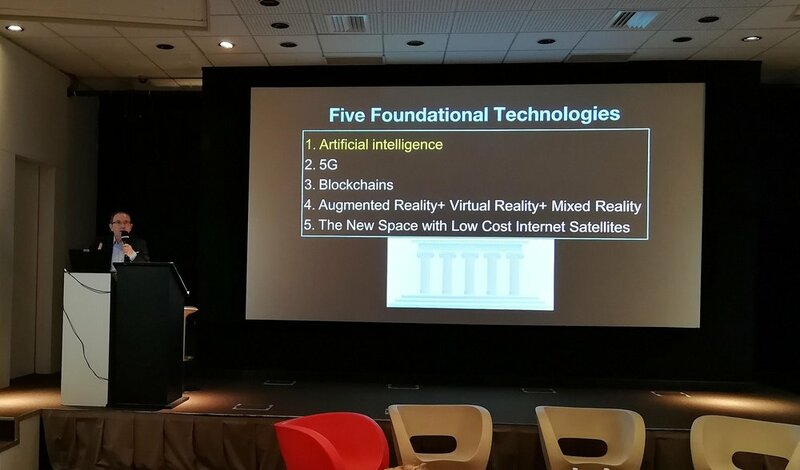 He also covered how frontier technologies such as IoT, blockchain and AI/ML are attempting to solve common supply chain challenges related to cost and inefficiencies. Foxtrot Systems presented by Raimundo Onetto - Foxtrot is the world’s first Artificial Intelligence Driver (think Waze for commercial distribution, sales and services). By controlling a commercial driver’s workflow in real-time using algorithms, machine learning & live data, they manage some of the world’s largest last mile operations such as AB InBev’s. Soon, Foxtrot will enable B2B same-day deliveries, an entirely new possibility for global commerce. Samba TV presented by Jay Fowdar - Samba TV personalizes television leveraging the world’s most comprehensive source of real-time viewership data across broadcast, cable TV, OTT and digital media. Through software applications in smart TVs, set-top boxes and mapped to millions of connected devices, Samba makes TV audiences more addressable and measurable to help marketers activate cross-screen campaigns and analyze the impact of their media investment. 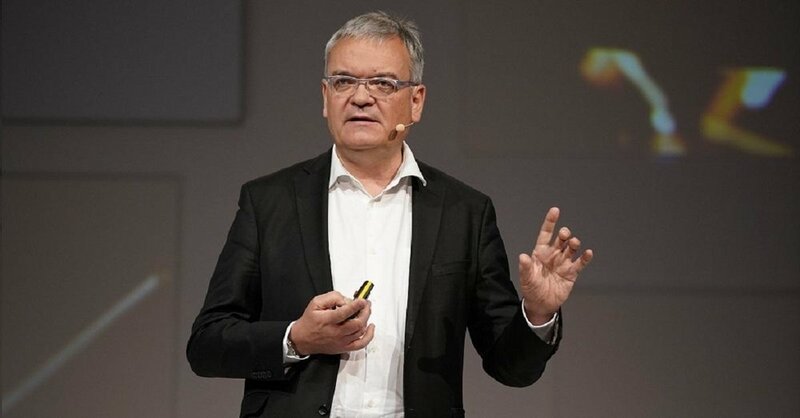 OTO Systems presented by Teo Borschberg - OTO is an SRI International spin-off venture building the next generation in conversational tech by leveraging cutting-edge artificial intelligence. The unique speech technologies powering OTO are the result of over 25 years experience of DARPA research. 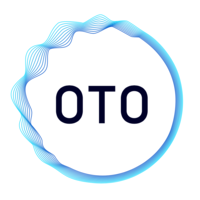 Now combined with a deep contact center industry know-how, OTO offers an intelligent software capable of guiding call center reps in real-time during each call to supercharge conversational performance at scale. Qylur presented by Lisa Dolev - Qylur is a technology company pioneering social networks of intelligent machines that evolve on a massive scale through the blended use of AI and IIoT. Qylur's Qylatron Entry Experience solution is transforming the first customer touchpoint at public venues by resolving the painful intersection of high security and great guest experience. Startup presentation - ID R&D presented by Alexey Khitrov - Secure login and authentication for financial transactions and sensitive data is a user experience nightmare. IDR&D provides an AI-based, multi-layered biometric solution that is not only secure but provides a completely frictionless UX. It combines proprietary real-time voice, behavioral and in some cases face recognition with anti-spoofing techniques. Headstart presented by Tom Price-Daniel - Diverse candidates are often systematically excluded when it comes to campus recruiting and high-volume hiring. Headstart diversity recruiting software breaks this cycle of exclusion and levels the playing field for all candidates by removing bias from recruiting processes. As Silicon Valley technology trends continue to move from concepts to reality, we’ve created Fab Force to provide corporate executives with access to Orange Silicon Valley’s network and expertise. Whether it’s introductions to our startup ecosystem, research from our Orange Silicon Valley experts or access to our networking events – we’ll be an essential guide to your digital transformation journey.